It’s been a long trek… In 2003, I had the privilege of coordinating the advocacy efforts among county, municipal and business leaders for the initial $500,000 in federal funding for the Ludlam Trail through the offices of Congresswoman Ileana Ros-Lehtinen. The Congresswoman was and is a great champion of cycling interests in our community. And again, our thanks. 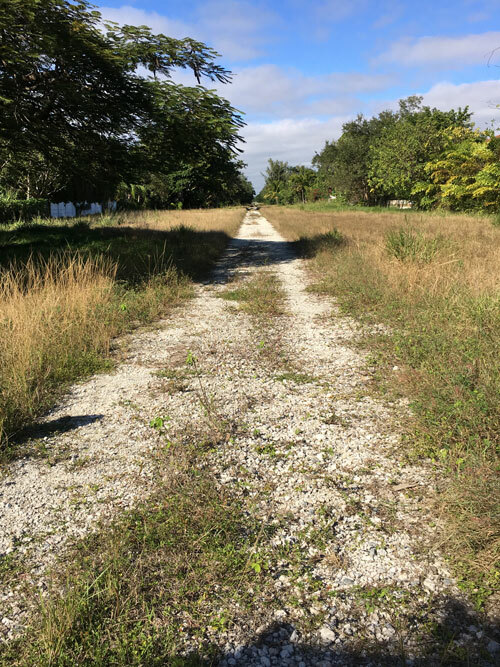 And now, after years of wrangling, on September 14, 2018, the Miami-Dade Commission voted unanimously to approve the $25 million purchase of the abandoned FEC corridor for conversion into the Ludlam Trail, a linear park for biking, hiking and trail running. The nearly six-mile trail runs from outside the Miami International Airport south to the area near Dadeland North Metrorail Station. It indeed has been a long trek, and a balancing act between neighbors, commercial interests, light rail advocates and trail only proponents. The commission action marked the end of a years-long struggle to close a complicated land deal and permission to build dense commercial and residential development at select nodes along the trail. Miami-Dade has secured about $27 million of the estimated $94 million price tag for the Ludlam plan which will be built in phases as funding becomes available. For the purchase approved at the Commission meeting, Miami-Dade is using $11 million in state grants and $14 million in County fees paid by developers for roads and other public works projects. The county is exploring the creation of taxing districts along the corridor to divert property taxes towards maintenance expenses for the linear park and trail. The organization Friends of the Ludlam Trail and its leadership have been the top advocates for the moving the project forward, and are collectively excited about finally moving forward with the project. SOMI Magazine will be preparing a feature on The Ludlam Trail in an upcoming issue. Your comments are welcome.